After three and a half years under the stubborn and impersonal Massimiliano Allegri, having just about anyone or anything else in the driver’s seat of our beloved team sounds heavenly. But when Clarence Seedorf was announced as the new head coach, fans were divided once again on the possible outcome of this move. Many look at his resumé as a player and a man and see the potential for greatness, and many still adore him for his ten brilliant years in a Milan jersey, too. Others are skeptical, particularly about the fact that he is a complete unknown as a coach, having only a brief amount of experience coaching youth in Brazil while still playing. Another red flag is his strong personality. While he is extremely affable and charming at times, he has also shown a lot of pride and stubbornness, too, which may not be the ideal match for players like Balotelli. But the nearly universal sentiment is that the team desperately needed a change, and a sense of optimism has returned to even the most cynical and skeptical fans. Because the one thing we can all agree on is that it is time for Milan to win again. 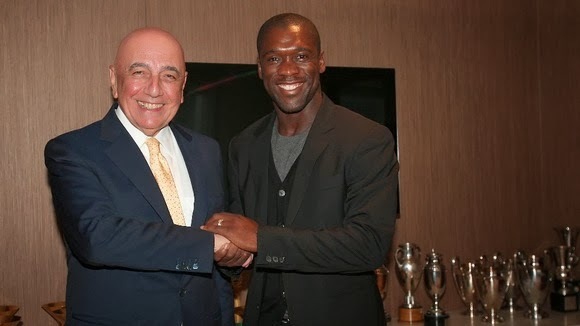 Seedorf announced his retirement from football on Tuesday in Brazil, hopped on a plane and got to Milano just in time to catch the last 20 minutes of Milan’s Coppa Italia match vs. Spezia. In the meantime, he had already spoken with Kaká, and it is reported that one of his first requests was to renew fellow Dutchman Urby Emanuelson’s contract. In one of his first comments to the press, he said, “The plan is to create a new winning cycle at Milan. Let's hope that it will happen because we have suffered enough.” So he’s saying and doing all of the right things so far. He greeted players and staff alike with warm embraces and smiles as he returned to Milanello, but you could see on their faces that the players and staff all respected him immensely. He ran his first training session with authority and yet a lightheartedness and ease that was fun to watch. He even got involved, I suspect he’ll be very hands on at least at first, having just retired from playing football two short days ago. But the atmosphere appeared to be comfortable, and there were smiles all around. That is not really a surprise if you remember anything of his press conferences over the ten years he played at Milan. He is very well educated, even called “Il Professore” by Italians, and is also very charming and well spoken. Even his harsher words toward the end of his time with the club, complaining mainly about a lack of playing time, were still well chosen and respectful. He is also known for his fatherly advice he used to give to the younger players, reported by many to be a mentor. All of these qualities make him an excellent candidate to be a coach, and yet nothing guarantees that he actually will be successful. While nearly every fan I’ve seen discussing him is more than willing to give him a chances, there is plenty of trepidation and fear surrounding the unknowns. One thing is almost guaranteed: there should be a honeymoon period where the team’s results drastically improve, as is the case with most midseason managerial changes. But while the heart of his plan is to bring Milan back into a new winning cycle, it remains to be seen whether or not six months or a year or even two years down the road, that will still be true. They know how to win, but will they be able to instill that in the rest of the team? One of his ideas is to bring in position-specific coaches for each position. All friends of his, Milan legends such as Jaap Staam, Hernan Crespo, and more. While this is an expense, and is probably why Allegri was not sacked earlier to bring him and his staff in, it is unprecedented at Milan that I am aware of. Common in other sports such as American football, these specialized coaches would focus on the specific training of the players, in theory improving the players we have instead of having to spend so much money on others. While this could prove to be a scenario of “too many cooks in the kitchen,” if anyone can pull it off, it is a person like Seedorf. The concept is quite tantalizing, and while it is unlikely to be implemented until next season, it is something many fans are curious to see. So much speculation, so many expectations, with not even a single game played under him yet. Rumors abound as to what formation he will use, which players will be starters, and so much more. But the biggest question is will he be able to take this squad and create that new winning cycle? Will his strengths and qualities as a player and a person translate into strengths as a coach? Those questions won’t be answered on Sunday, or even necessarily by the end of this season. 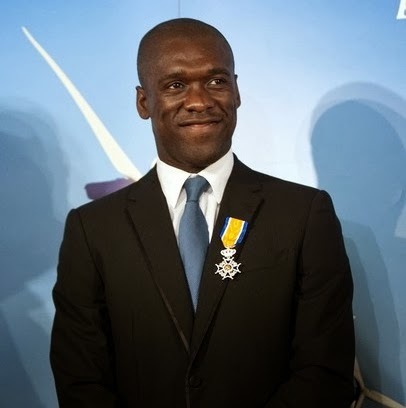 Perhaps a year from now we will have a better grasp on what kind of coach Clarence Seedorf will be, but for now, we have the opportunity to sit back and watch him grow. If we place expectations on him, we set ourselves up to be disappointed. However, if we have no expectations, we can be pleasantly surprised. That's Sir Clarence Seedorf to you. Will he be our knight in shining armor? Which brings me to the challenge I have for Milan fans: Wait. Like the young players in our youth sector, we need to sit back and watch and wait to see him grow. Sure, he is a class act, champion player, has won everything at the highest level, and is very intelligent and charismatic. And those traits should, in theory, translate into a decent coach. But many great players have proven those theories wrong. There isn’t anyone who can tell us what his future holds, or the future of Milan. So wait. Give him time. He's brought the smiles back to Milan for now, we shouldn't worry about much else for now. Let’s just support the team, which hopefully will be a little easier to do, at least for the honeymoon period. And then we can all see together just what kind of coach Il Professore will be. With any luck, he’ll be able to inspire a new winning cycle, just like he said. 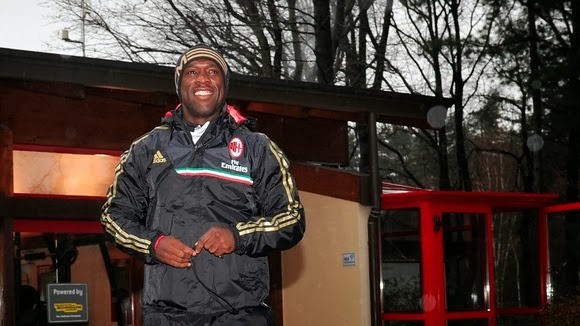 Bentornato, Mister Seedorf.